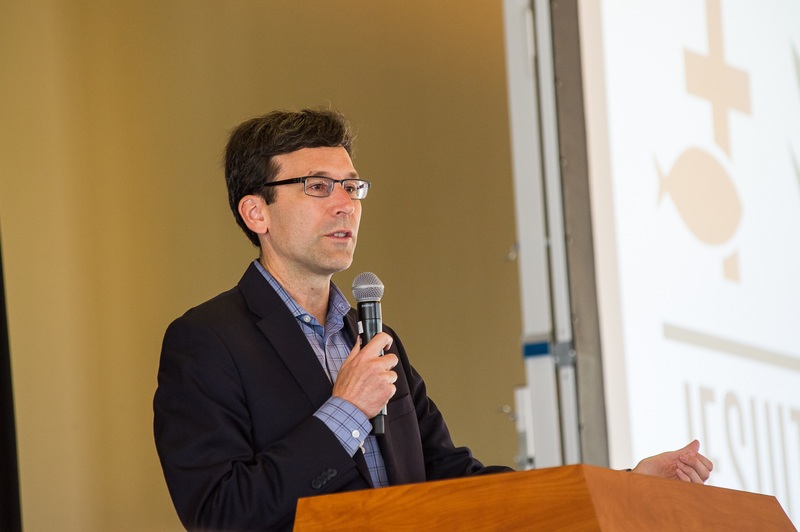 On May 20th the JVC Northwest community gathered to celebrate another year of service with Washington Attorney General Bob Ferguson (Portland, OR ’89-90) and Brother Fred Mercy, S.J. Ferguson spoke on this year’s theme of “Extending the Table” and how his year with JVC Northwest influenced his decision to go to law school and his work as Attorney General today. 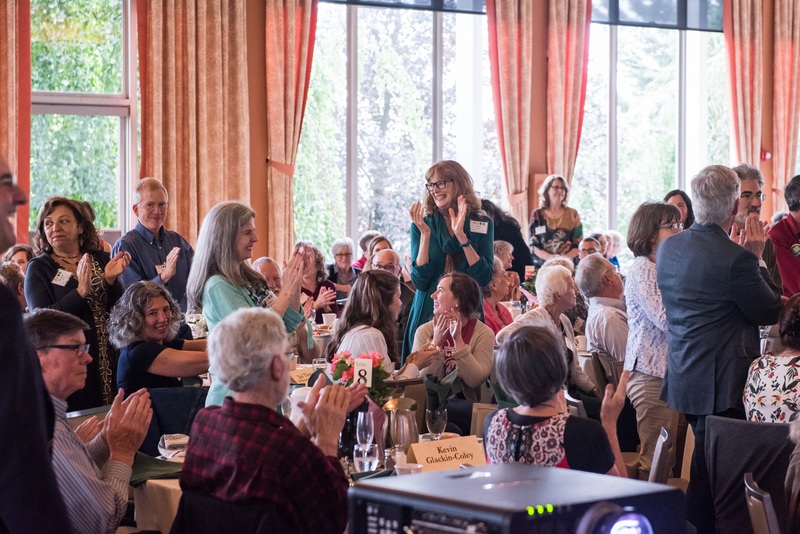 This year’s benefit brought together 315 members of the JVC Northwest community, including former and current volunteers, family members and friends, sponsors, Jesuits, and partners from placement agencies. After a liturgy with Fr. Gary Smith, S.J. we were led into the brunch’s program by emcee, Leo Lyons (Seattle, WA ’78-79). Brother Fred Mercy was honored as the Fr. Jack Morris, S.J. 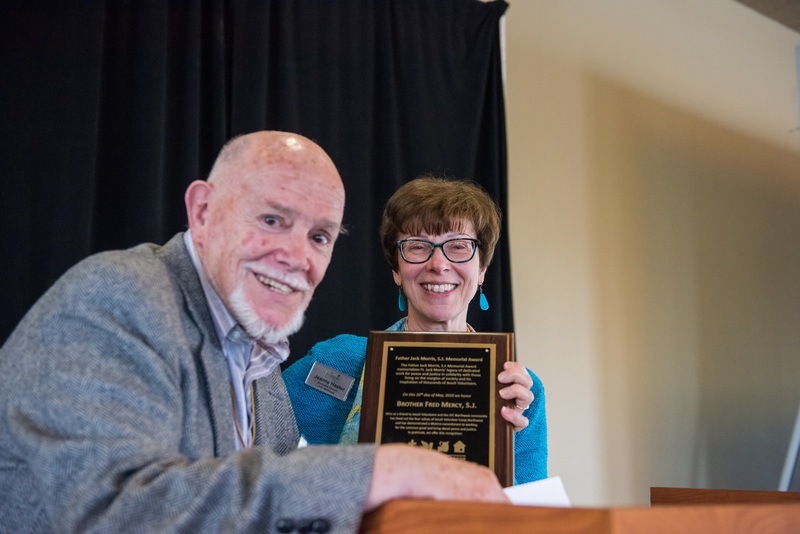 Memorial Award recipient for a lifetime of living out the four values of JVC Northwest. He has fostered the development of the communities he has belonged to, encouraged spiritual growth and exploration, advocated for social justice, and embodied a sustainable presence on the earth. He is a person who continually demonstrates a lifetime dedication to the service of others in the way of the Gospel, and we were honored to have the chance to celebrate him. 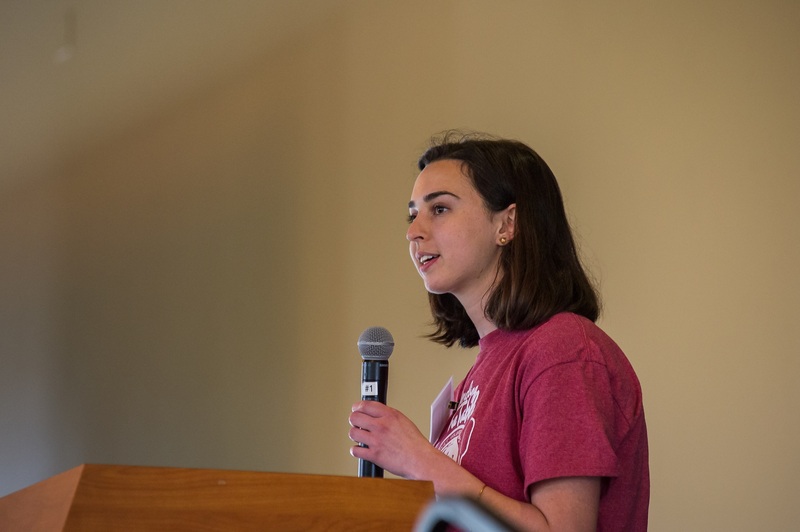 Current JV Hannah Legatzke (Seattle, WA ’17-18) and JV EnCorps member Mike Maggart (Tacoma, ’17-18) each gave moving reflections on their time in service this year. Hannah spoke about her experiences as an Asylum Intake Coordinator at Northwest Immigrant Rights Project, and Mike reminded us of the “Fall in Love” prayer from Fr. Pedro Arrupe. The night ended with the drawing for our twelve raffle prizes. Congrats to all who won a package, and thank you to all who donated! Thank you again to our sponsors and to everyone who attended the event! If you’d like to see the entire album of pictures from this event please check out our Flickr page here. 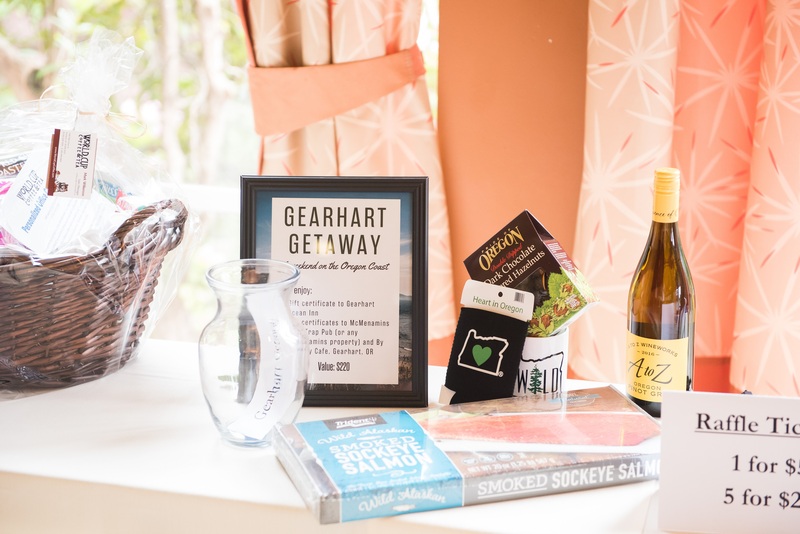 We hope to see you at next year’s dinner gathering at Seattle University on Friday, May 17, 2019!